Rudi grew up in south St. Louis, after immigrating to the United States from Austria with his parents in 1956. He attended Saint Louis University where he jokes that he majored in soccer and minored in Engineering. Rudi’s 1967 NCAA Division I championship team, along with his ’68 team, were inducted into the St. Louis Soccer Hall of Fame. Rudi decided not to play his final year so he could dedicate his full attention to earning his Electrical Engineering degree in 1971. Rudi still credits much of his business success to the comradery and cooperation he learned from his team. Before founding Roeslein & Associates in 1990, Rudi started his career in the engineering department at Container Corporation of America, a composite can manufacturing company. This is where he first saw the potential, and many benefits, that modular concepts offered. Today, Roeslein & Associates is a global engineering, modular fabrication and construction firm with over 600 employees spread across six locations in North America, Europe and Asia. Rudi and his employees have designed, built, and shipped entire modular systems across 6 continents and over 60 countries. In 2012, led by his true passion for wildlife and prairie restoration, Rudi founded Roeslein Alternative Energy (RAE). RAE is currently developing a $120 million project that converts the manure from 2 million hogs on nine farms into renewable natural gas. Its primary focus is to provide sustainable solutions for livestock production and renewable energy generation. The project has the potential to produce 1,100,000 MMBtu per year of renewable natural gas and reduce up to 500,000 metric tons of CO2 per year. The Renewable Natural Gas Coalition, American Biogas Council and BBI International have recognized RAE for its contributions to the biogas industry. 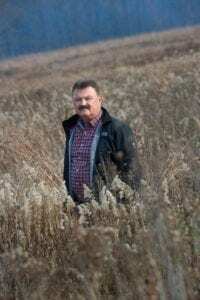 Rudi was named 2012 Missouri Prairie Landowner of the Year by the Missouri Prairie Foundation. This award is presented to an individual who has made an outstanding contribution to the cause of prairie through ownership and stewardship. Roeslein and RAE have partnered with the University of Missouri, the University of Minnesota, Iowa State University, Missouri Department of Conservation, Missouri Prairie Foundation, National Wild Turkey Federation, Environmental Defense Fund, Missouri Department of Natural Resources, and the U.S. Fish and Wildlife Service to brainstorm solutions that promote better farming techniques and better uses of marginal land; this is part of RAE’s horizon two approach. Currently RAE, the Smithfield Foundation, and the Environmental Defense Fund are converting 1,000 acres of highly erodible land back to native prairie in an effort to provide market solutions for the production of renewable natural gas, wildlife habitat, and ecological services. In 2016, the Conservation Federation of Missouri awarded Rudi the Air Conservationist of the Year award for his efforts in improving air quality with his significant investment in the Smithfield Anaerobic Digester projects. Rudi enforces the practices he advocates for on his personal farms in Northern Missouri— a 1,750 acre farm in Putnam County and a 750 acre farm in Osage County, where he is restoring prairieland and reconstructing riparian areas around uplands, streams, and watersheds.